A hobby I started in 2015 after a friend of a friend invited me to an event called Odyssey run by company Profound Decisions, it was entering the final act of the story and was an interesting time to join. I have always enjoyed making things and telling stories and this is a perfect place to do both these things. Since starting the hobby I have made leather armour, weapons, costumes and a multitide of other things. Once Odyssey came to its dramatic (and rightful) end I have started looking where else to throw my interest which has lead me to Empire and Pioneers both who offer interesting but different worlds to play in. 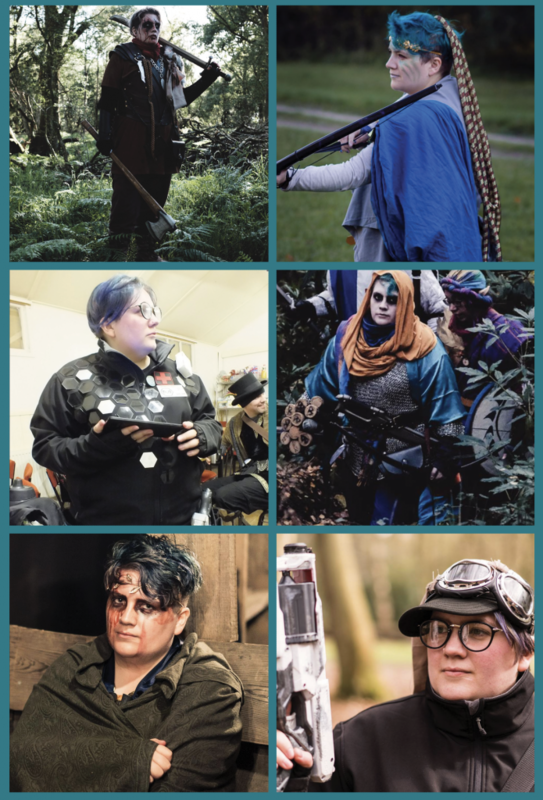 I have also been part of the creative team behind a once shot event called Happily Ever After which is based on the real world adventures of fairytale beings and ran in February 2017, it was short listed for two LARP awards – best medium game and best new game.